The event will be held at the Gwinnett Environmental & Heritage Center in Buford as GMGA brings together master gardeners from around the state for their annual conference. The 2017 conference theme is “The Green Table” featuring Joe Lamp’l as the Keynote speaker. In addition to the conference, on Friday afternoon, October 6th, four 2-hour workshops are being held at Bogan Park, also in Buford, and are open to the public and non-conference attendees. Rosalie Tubre, Chair of the 2016 Grant Committee, along with committee members Faith Mann and John Davidson, chose these applicants to be awarded grants this year. Please read this illustrated newsletter telling about each project. The Gwinnett County Master Gardener Association will provide $5,000 in Grants in 2017 to GCMGA members for projects to support our mission to serve as stewards of the environment and to educate the public about horticultural practices that foster both beautiful gardens and a healthy environment. The information sheet and application form are available under the Docs and Forms tab. 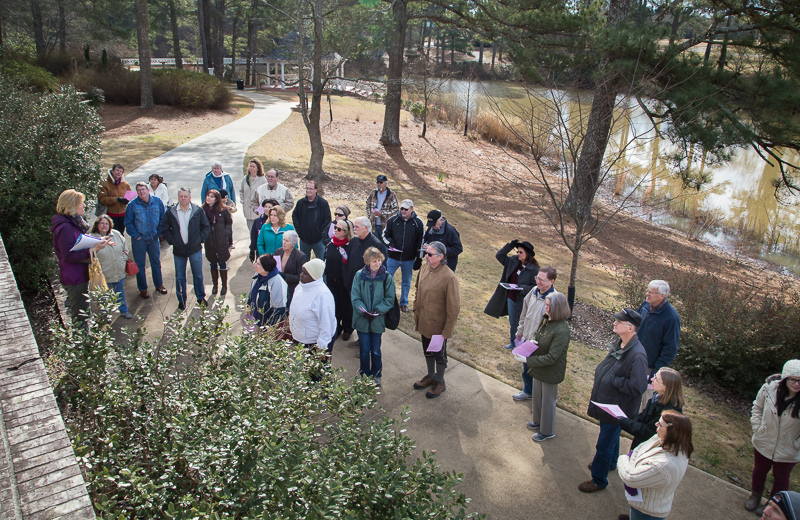 Held on Saturday, February 6th, the quarterly Walk-and-Talk was about the many, varied unusual plants in the park. Led by GCMGA members and Master Gardeners Lori Prosser and Janet Leutzinger, over 40 people attended the event in the cold morning. The Vines Volunteers are a dedicated group composed of mostly GCMGA members who work at the park every Tuesday and host a quarterly Walk-and-Talk for the county. Enjoy the pictures.